A good book can transfer you to another world, another time, another place and will invite you to literally dive into its pages as if you were its protagonist living out its story. A great book will also transmit to you its feelings and engage not just your mind, but your senses as well. A book is your passport to the world, to places you never even knew existed, and to cultures you knew nothing about. I was given such a book as a present. And then I was lucky enough to realize a dream every book-lover has – to get in contact with the author and ask questions! Cássia Martins is a wonderful author, artist and person at heart. 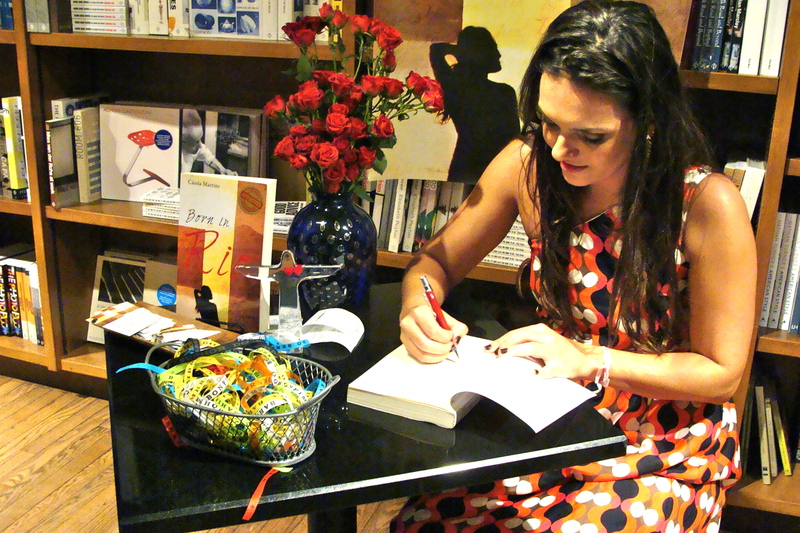 Of Brazilian descent, she decided to go back to her motherland after finishing her degrees, and after a mere nine months she had written her book! With Brazil preparing to take center stage with the 2014 World Cup and the 2016 Summer Olympics taking place in Rio de Janeiro, Cássia Martins immerses the reader on a heartfelt, touching story of personal development and soul-searching in a beautifully and vividly described “Marvelous City”. Born in Rio is a book that ravels you up right from the start and leaves you asking for more. Complete with twists, dark secrets, revelations, and a flood of emotions that can be felt right to the core, it is a book so full of life that makes you reconsider your own place in the world. What makes it such a great read is that it is full of gripping, wonderful descriptions that make you feel as if you were really there – feeling, seeing, smelling everything around you. But most of all, this book embarks you on a trip to Rio, and through its pages you learn about the history, culture and life in one of the world’s most passionate and lively cities. The first idea of writing a novel came to me when I was writing application essays to graduate school. When I was done with my MBA applications I realized how much material I had to build on a story about a New York banker going back to her roots and eventually changing her ways. During my MBA at Wharton, I constantly thought about the plot, and finally when I graduated I had the story figured out. Then it was a matter of sitting down to write it! Why did you decide to go back to Rio now (when writing the book)? I really wanted to talk about Brazil and Rio because I was born there and it’s a place that has such a special place in my heart. I wanted to show the world how it feels like to live in Rio, the culture, the heat, the people, so living there was actually crucial in writing this story. It had been 15 years since I last lived there on a day-to-day basis, so actually going through the experiences of being back helped me a lot with material for the book! How did you feel going back to Rio after 15 years? How did it feel living there again and then having to go back to the US? When I left Rio to the United States I was a teenager, and thus I became an adult in the US. 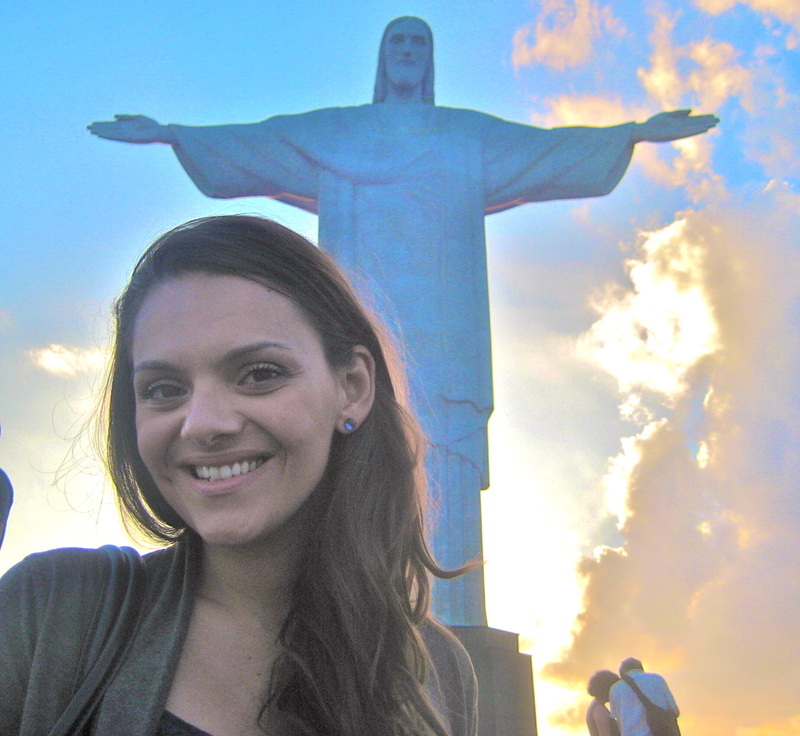 Throughout my life I had been to Rio in many instances, but always for short period of times, just for the holidays. My family is from Brazil but I am also American, so there was definitely a culture shock of going back, and then getting adapted back into a culture that I actually had experienced before! But it was such an enriching experience that inspired me to write rich content for Born in Rio; I was never short of interesting things to write about! 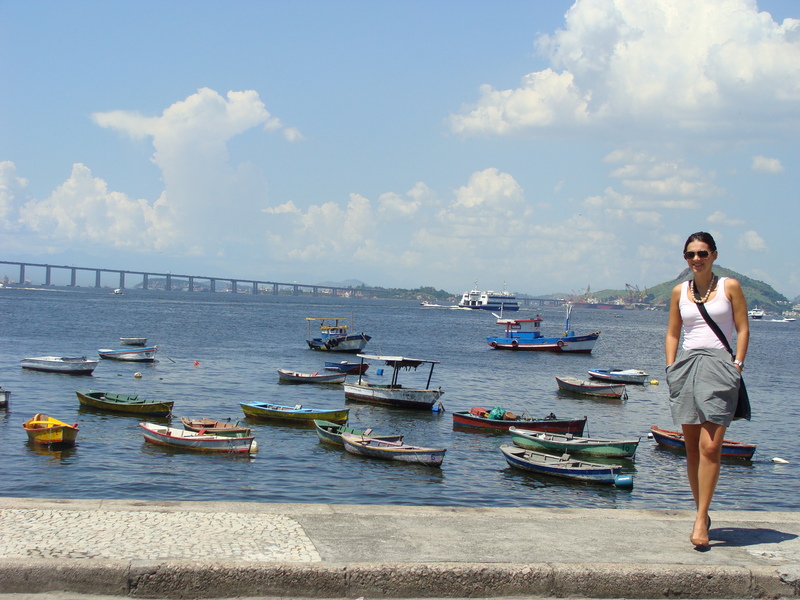 Shortly after I finished writing Born in Rio I went back to the US. Going back to the US after Rio was an easier transition. Born in Rio is published in English and most of the work involved in publicizing it now is done from the US. So, to me, I think I had the best of both worlds while making this book. How is the book based on your own experience? The book is based on my own experiences from many angles. All the events Rita goes through when she gets to Brazil, in a way, I experienced them as well. 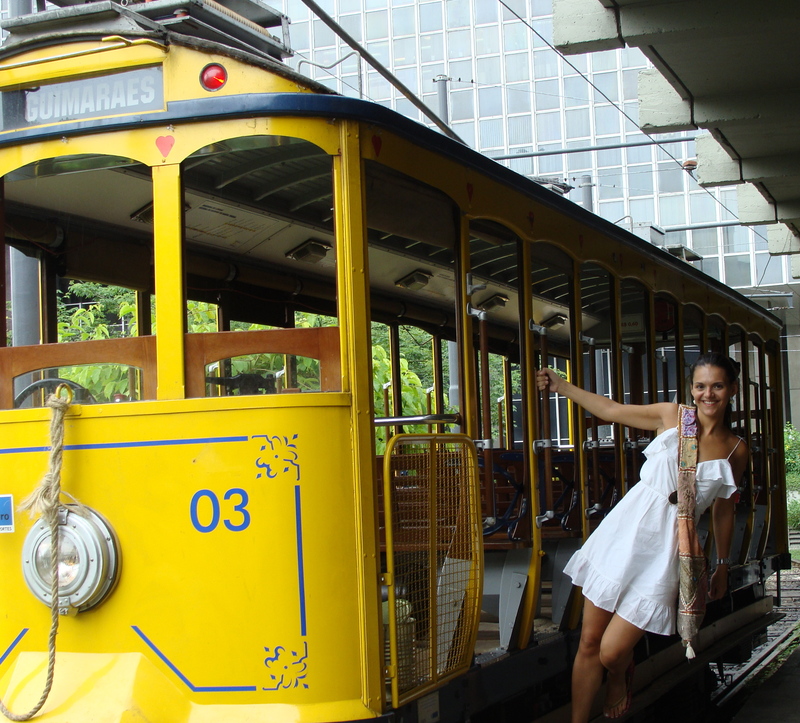 The liveliness of people in Rio, the heat of the culture, the passion, these were all things that took me by surprise, and that I then wrote about. All the places Rita goes to in Rio I also went there. I even took dance lessons (like dancing samba in pairs) and my favorite place in Rio is the Rio Botanical Gardens, where I went often to get inspiration for my story! The plot and the story itself is fiction, but based on real events, either circumstances that I have experienced myself, or that I saw other people go through. I compiled all my knowledge and allowed my creativity to interweave them in this inspiring story of growth that is Born in Rio. How could you bring yourself to write so vividly about such painful events (the passing away of the mother of the character; the domestic violence from the father etc.)? I think that one of the missions of an artist is to be sensitive to experiences we all go through as humans. So I always try to think of different circumstances and the feelings that might be associated with it when I engage in the creation of an artistic project. The artistic creation itself, to me, is something I am very used to. Since an early age I was exposed to many forms of art, and I have used my art and creativity as a channel of growth and healing. That ability has allowed me to connect with other people, and to humanity as a whole. So I think I used this approach in writing this story, and in transporting my readers into different aspects, and feelings, we might experience as humans. How much research did you do on Brazil’s history and how did you go about that (by reading books, talking to locals)? History has always been one of my favorite subjects in school and so it is no surprise that Brazilian history fascinates me even more. I think Brazil is such a unique country, and I feel so blessed to have had the opportunity to be born there, and to live there. It is truly a melting pot of cultures, and Brazilians consider themselves “Brazilians” regardless of where their ancestors came from. So a lot of the material in Born in Rio was based on my own knowledge of my motherland, but a big chunk of it was based on extensive research; I read many books, not just about Brazilian history but also Brazilian arts and literature. I tried to talk to as many people as I could when I was there, so the information would be not just accurate, but also real. I was very happy with the result in the book Born in Rio, readers always mention to me how I was able to transport them into Brazil, and make them feel closer to its history, people and culture…almost seamlessly. Is Rita anything like you? Well, I wanted to write about another woman, so many aspects of Rita do not belong to me. But at the same time, I think that some do, because I can better write about what I know myself. Rita was a very cold woman, not in touch with her feelings a lot in the beginning, and that I cannot sympathize with because I have always been in touch with my feelings. But she is a professional in the finance world, and so I am, so I do understand her demeanor in many work related situations. She was born in Brazil, as was her mother, and we do have that in common also. I can also say that a lot of her “growing up” throughout the book are questionings and insights I also encounter in coming to terms with my own path in life and adulthood. 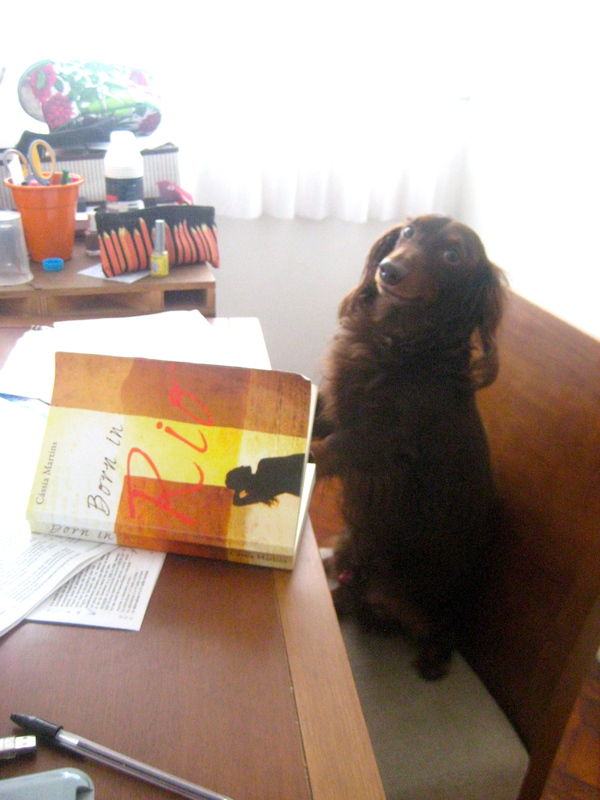 Is the long-haired dachshund appearing unexpectedly a tribute to your Dolce? I’m so glad you noticed that! I have to say, my Dolce was my true companion in this journey. I like to work at night, when everyone is sleeping and the world is filled with silence. Therefore although I spent many, many nights writing with no humans around, I never felt alone. I have had Dolce for 9 years now, and I truly feel he is such a loyal company, that I just HAD to put him in the book somehow! So, of course, I decided to give a “Dolce-like” dog to the artist, Mona, because I feel like my Dolce has really been a crucial supporter and very important part of my artistic creation process somehow. How did you manage the task of doing all aspects of the publication for the book yourself (publishing, promotion, advertising etc.) and how did that feel? I honestly don’t know which part I liked most: writing the book, or managing it. Although I am an artist, I also have an MBA in marketing and entrepreneurship, so to me, this project has always been my business plan. I try different strategies with it, measure its results and built on them to move forward. I’m lucky, I guess, to have developed both the artistic, subjective, intuitive part of the brain as well as the more logical, analytical and objective side. Thus I really love the fact that I have had control both on the artistic creation and the management of the book. That ability has really allowed me to put this project together, wholesomely, and that makes me very proud and happy. Could you ever have imagined that just like you were excited to receive a signed copy of a book by Isabel Allende, someone would be just as excited to receive a signed copy of your book? You know, since I was a little girl, I was so inspired by Isabel’s stories. Paula is one of my favorite books and I read it now in three different languages! So, yes, it was one of the best gifts of my life to receive a signed copy of Paula by Isabel Allende. I cried when I got the envelope, a moment I will never forget. Therefore, if my readers are as excited to receive a signed copy of my books, to me, that is one of the most noble accomplishments I can do; to be able to bring a simple moment of happiness into someone’s life like that. I really hope this is true, and I hope to continue doing that for many years to come! N.B. I am so thankful to K for introducing me to Cássia and her lovely book, but also to Cássia herself for being such an inspiration! It turns out life does indeed happen independently of what you want, but sometimes, it also goes a bit your way, and when it does you cherish every moment, every contact, and every experience you gain!